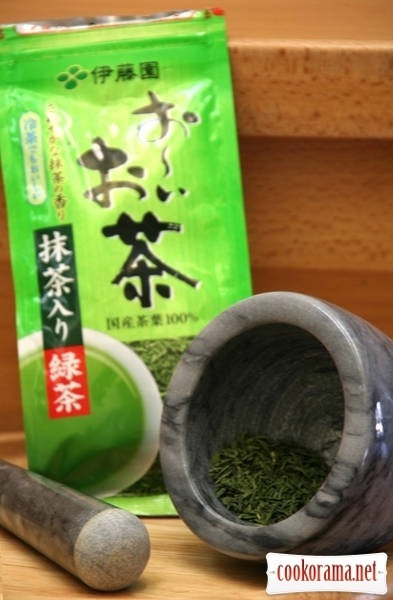 The recipe I have changed, because in original add tea Matcha, which is hard to found nowadays. 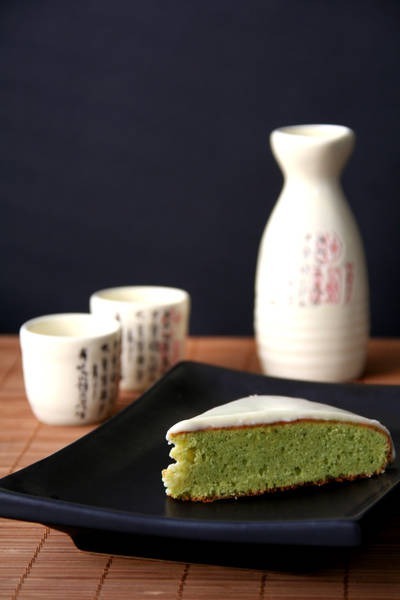 That`s why to baking was added hard work of grinding Japanese green tea in powder. Now about cake. 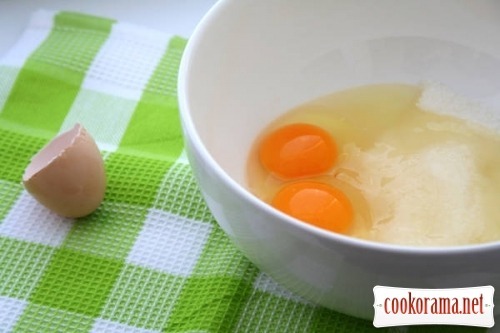 Beat eggs and sugar with a mixer into foam (quite long is this process). 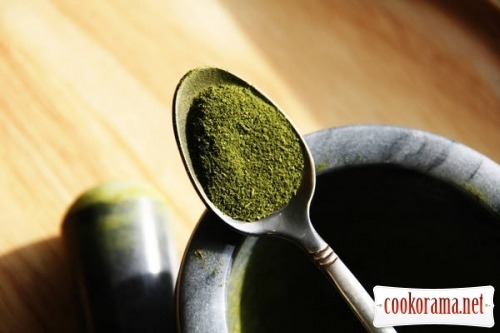 Then add the sifted flour with tea. 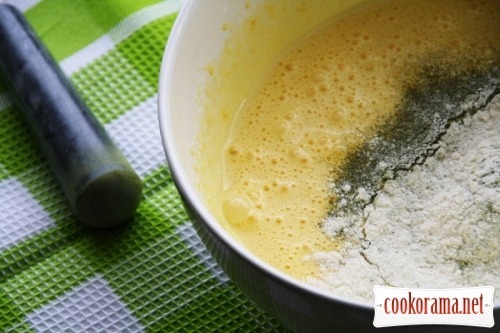 Add cream, as carefully and gently stir and pour into forms, greased and powdered with flour. 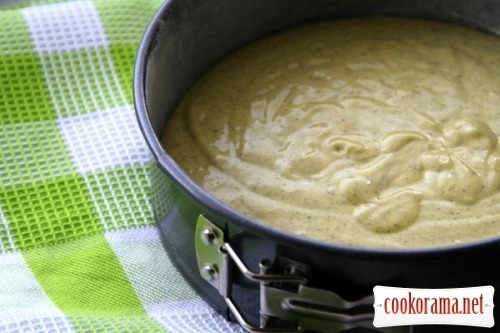 Bake at 180 degrees for 40 minutes or until done, depending on thickness. Ours form was 20 cm, but the cake has risen quite a bit (cooker did not have time to warm up, so it stood and could not rise well) and was not very thick, baking for a half an hour. Cake should be cooled if you wish, or poured by the ganache… I made ganache with white chocolate and 100 ml cream, which cooked with a sprig of mint. The combination of tea flavor cake and white mint chocolate turned out surprisingly elegant. Enjoy your meal. 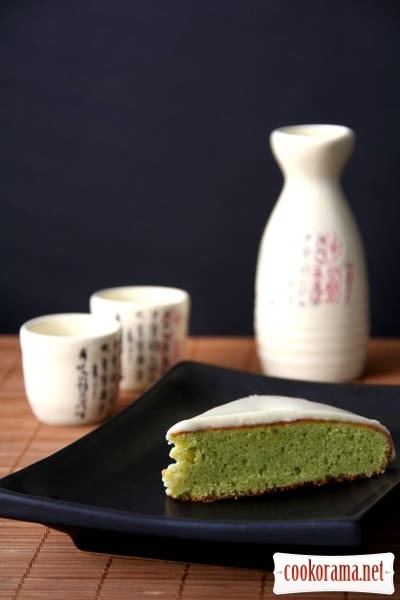 Top of recipe "Cake with green tea"
Який красивий зелено-біий кекс — наче підсніжник на весняній проталинці. супер, я тоже давно хотела приготовить типа такого кекс, но вопрос с чаем матча останавливал, вот теперь знаю, что можно достичь такого цвета(ну, не совсем такого зелёного, как с матча, но всё же☺) и с помощью листового зелёного чая! Ніколи б не могла подумати, що з чаю можна спекти такий смачний і оригінальний по кольору кекс! Тим більше з японського! Я дуже люблю японський чай і все що зв'язано з цією країною, я в неї просто закохана! Спасибі Вам за рецепт!